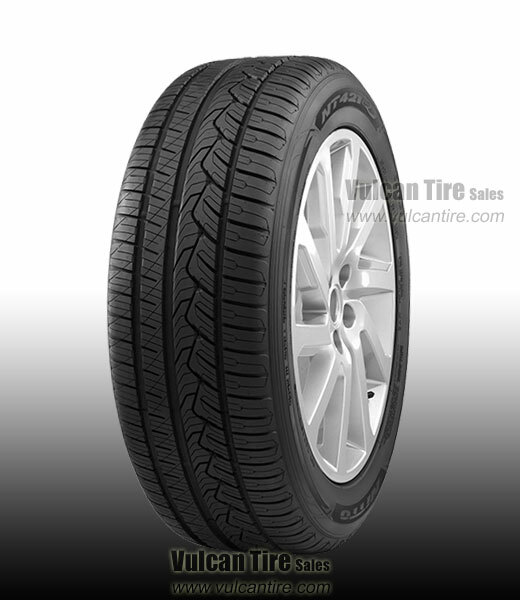 The Nitto NT421Q engineered with the crossover utility vehicle (CUV) and SUV in mind, the NT421Q represents the evolution of the tire needs of modern vehicle owners. All season performance and traction with a quiet, comfortable ride are the promise of the NT421Q. Whether in dry, wet, or light snow conditions, Nitto�s 3-D siping technology, circumferential grooves, and all-season rubber compound keep the NT421Q on the road. NT421Q features larger tread blocks on the exterior for stability and rubber shoulder inserts for added strength and on-road durability. Be confident as you drive with alignment/maintenance indicators keep you alert to how your tires are wearing.